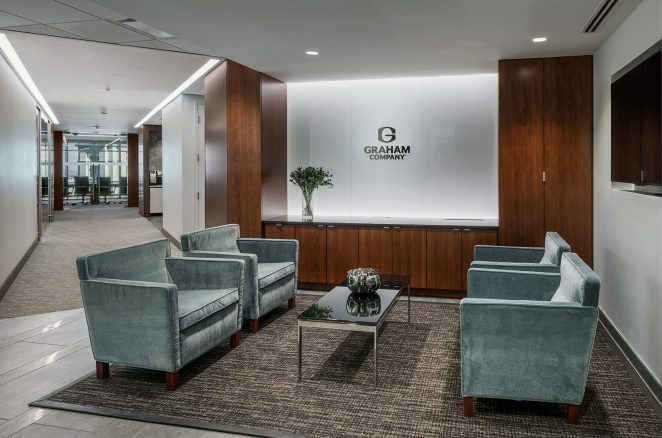 The Graham Company is one of the largest insurance agency and brokerage firms in the US. 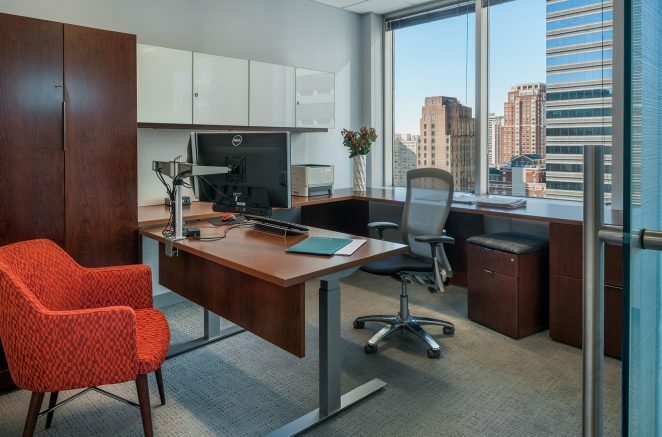 Providing a fresh image to reflect their culture of professional expertise with their embrace of technology, the design utilizes modern materials and delivers a creative environment which enhances productivity. 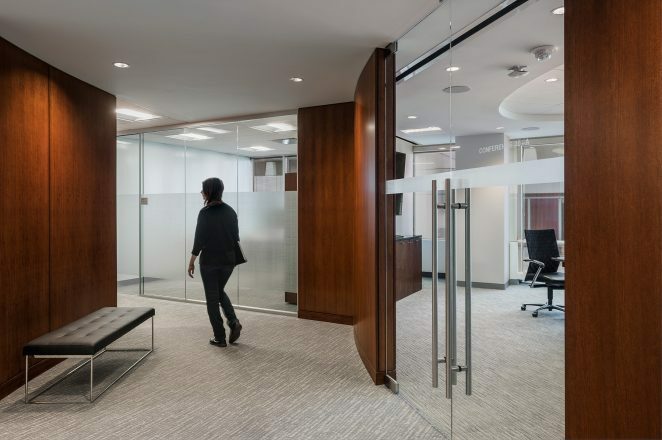 The full height glass walls create a light filled workplace. 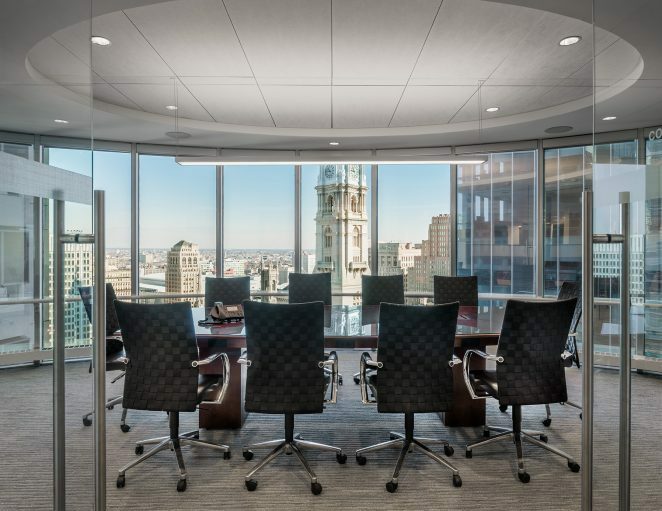 Collaborative meeting spaces and dynamic conference rooms create an active work environment. 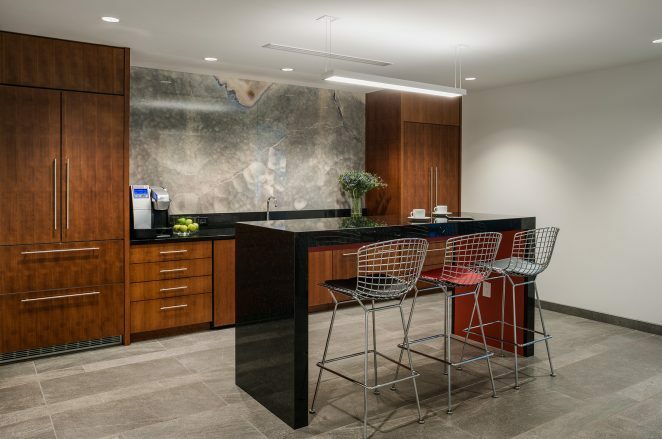 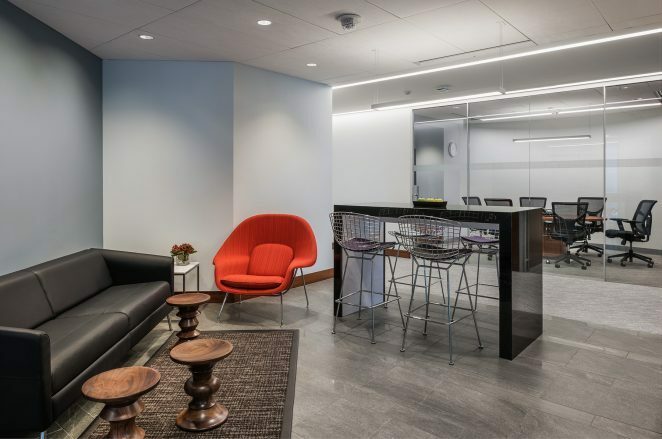 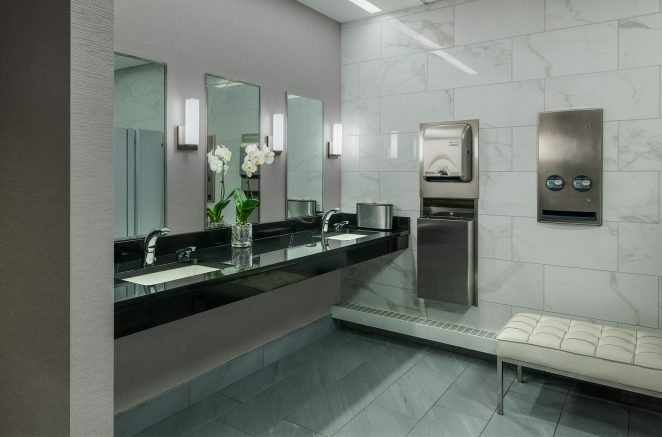 Renovations include corporate offices, eight floors of elevator lobbies, toilet rooms, new training rooms, break out lounges and conference rooms.